Umbraco Cloud is a fully-featured open source content management system with the flexibility to run anything from small campaign or brochure sites right through to complex applications for Fortune 500’s and some of the largest media sites in the world. Umbraco has been designed to make you as productive as possible. This means it’s fast, beautiful and easy to use so you can focus on getting your message out to your peers, not how the technology works. Our DNA is the web and our Scandinavian roots mean we’re born loving beautiful design. You won’t find a CMS that has a greater respect for getting out of the way of your handcrafted HTML. Being open source means that you can modify our source, but you won’t need to. With open .NET and REST APIs there are no limits to what you can do — and still upgrade to the latest version seamlessly. Umbraco has given a lot of thought to the user experience of their CMS. The interface uses a navigational flow and editing tools that anybody using Windows Explorer and Microsoft Word will immediately recognise. Your site structure sits in a tree view — just like Windows Explorer. Anybody with experience using Microsoft Word, can use Umbraco’s simple rich text editing (RTE) interface. We know you will love it! Umbraco has integrated with familiar tools such as Microsoft WordTM, to allow you to write content or edit your website pages directly from within Word. You can even work off-line, without even opening up a browser. Not happy with the changes you’ve made to your content? No problem. Umbraco allows you to rollback your content to a previous days content. Simply right-click, select the day you want to rollback to and publish. You can even view the differences between versions side by side. You can give different CMS admins different access rights. Only want the intern to be able to edit content but not to be able to publish? Don’t want your freelance contractors to be able to access the Media Library and sensitive documents? It’s as easy as a ticking a box and setting the CMS access levels. Say you have content that needs to be made live tomorrow and only appear for 1 day, but you’re not going to be in the office. Well with Umbraco you can schedule your content ahead of time, to publish and then unpublish on certain dates leaving you free to carry on with your day. Does your website need to be able to operate in multiple languages? Do your CMS admin users need to be able to edit in their preferred language? Umbraco ships with more than 15 pre-defined languages that provide a localised user interface and it also allows you to easliy setup multi-lingual sites for your website within one CMS. Umbraco’s media library lets you upload your documents (PDF, Word, Excel, PowerPoint, Flash files and videos) into a neatly categorised and editbale folder filing structure. Link to documents in your content and then when you need to change something, do it in the media library and it will update across the site. It can also be used as a nice online storage facility. Nothing is more frustrating for a developer than a CMS that restricts you from getting down and dirty in the code. Umbraco lets your developers 100% control the templates layout and markup, including the CSS files. With built-in content caching and a dynamic cache for macros, your website is given a huge performance boost! This ensures a great experience for your site’s visitors and website pages will load quicker. Need to do something complex using a custom .NET user control. Well then write your own .NET Custom Controls and User Controls and integrate them into Umbraco. Umbraco is completely flexible to allow you to develop however you feel comfortable. Umbraco has a fantastic search facility using either XSLT search or Umbraco Examine which is an extensible indexer and search engine. Both methods are lightning quick and allow your website visitors to quickly find what they are looking for. WordPress is a great choice for blogs and if that is the only thing your website will be providing then WordPress is probably the strong candidate. On the other hand, if you want to create a complex website, with a deep page navigation structure with advanced editor options to allow content editors that ability to alter the website, then Umbraco, in my opinion, is the clear leader. If you look at big enterprise level organizations, there is a very good reason why a vast majority of them use Microsoft backed CMS solutions. From my experience, over a certain number of web pages WordPress does not work very well. If you want to create a more bespoke website with a custom design from scratch then Umbraco is probably the easiest choice. Like anything you have custom made, it will cost you more money. The great thing with Umbraco is you can customize a lot of it within Umbraco yourself without having to download a new theme or plug-in. Both programs are open and free to use. 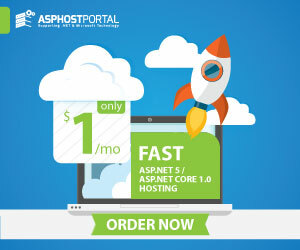 A lot of websites might say that WordPress is slightly cheaper, due to hosting costs, but nowadays with hosting providers like, asphostportal.com, which provides hosting for as little as $3.81 dollars a month for an Umbraco website so that argument is pretty obsolete. If you are reading this article, then there’s a good chance you are not a developer. Most developers will tend to favour a website platform that matches their abilities. If you are creating a website from scratch and need to hire people, then WordPress or Umbraco developers will be roughly the same to hire. 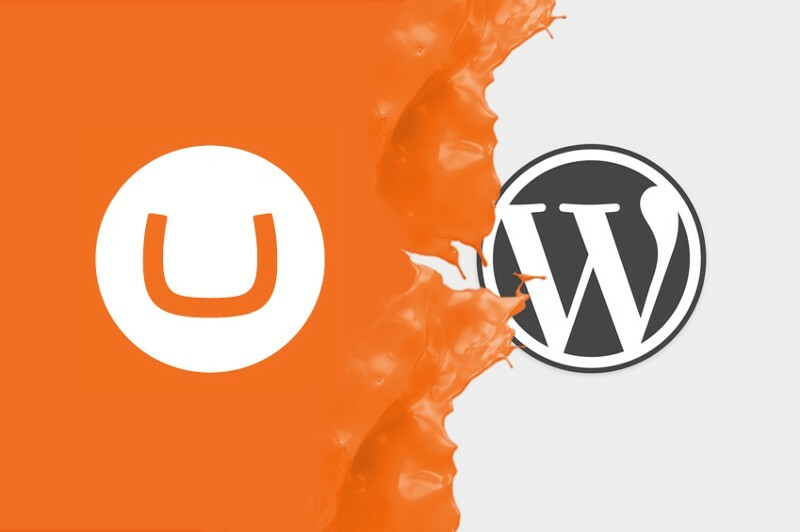 WordPress and Umbraco both come with themes and modules you can install to do a lot of common website features. WordPress definitely has the edge in the amount of plug-in’s and themes that are available. With WordPress, there are over 10,000 free and premium themes and 30,000+ plugins to enhance the core functionality of your site. On the other hand, from my own personal experience with WordPress, it’s usually these free plug-in and themes which are the root cause of some of my websites being exploited by hackers. The Umbraco community does provide a limited number of modules but compared to Umbraco loses out. On the other hand, the Umbraco back-end makes creating modules so easy a lot of these plug-ins can be done directly in Umbraco without the need for coding or external plug-ins. Again, I think this comes down to if you are running a blog or a website. If you have a lot of web pages and blog posts the WordPress back-end is a bit clunky. As Umbraco organizes pages in an easy to use page navigation structure, it’s really simple to navigate. Both products back-end admin editing screens are pretty simple and easy to get to grips with. Umbraco has 150+ in-depth video tutorials all for FREE. Umbraco also has a brilliant community forum that will get you the answers you need. WordPress has the bigger community, but the problem with WordPress is the entry level to start working on WordPress is a lot less than it is for Umbraco. From my time with WordPress, I’ve had several occasions where the forum advice might have solved the problem at hand but wasn’t considered best practice. If you care about your brand or product then when you deploy your website you will want to know that it works. This is where PHP and WordPress fall down. Microsoft’s programming language is a strongly typed programming language. This means developers can create things called unit tests to ensure on-going maintenance work doesn’t break your site. If you are selling e-commerce products for example, if you update a plug-in there is no guarantee that your whole website will break. With Umbraco, you can write tests against work to make sure it all works. 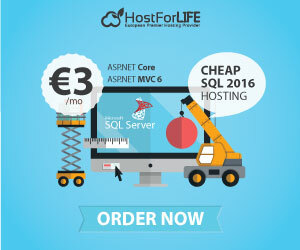 If you build a website that gains a lot of popularity and you need to quickly upgrade your servers to deal with bigger capacity, then the Microsoft stack wins. One of the reasons big companies pay extra expense is because they know reputation is one of the most important things that affects a business. WordPress is a great fit for small/medium level websites. If you want to start dealing with 100,000 of customers, load balancers and cloud hosting then Umbraco wins hands down.